New: 24 page introduction to EO treatments for Herpes and Shingles. Made easy. $ 15.95. Pdf for on screen viewing. The Course presents the true nature of essential oils, especially what it means that they derive from living organisms. It analyses the issues of purity and quality beyond the current, mostly marketing driven narratives. 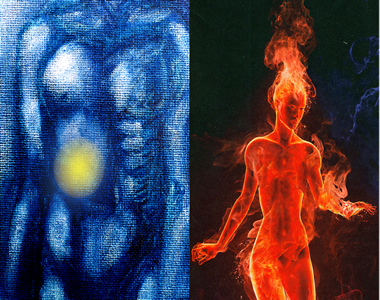 Their chemical and biological nature is explained. Steam distilling and cold pressing of aromatic plants produces classic essential oils. 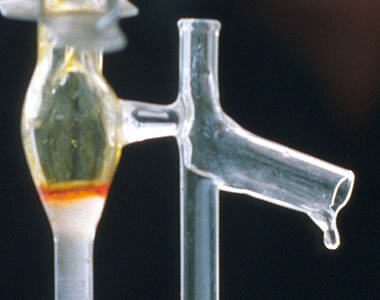 Other extraction methods such as CO2 or solvent extraction can produce oils of similar or sometimes substantially different chemical composition. 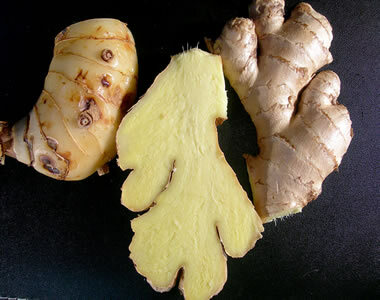 The specific qualities of extracts produced by these different methods are discussed. 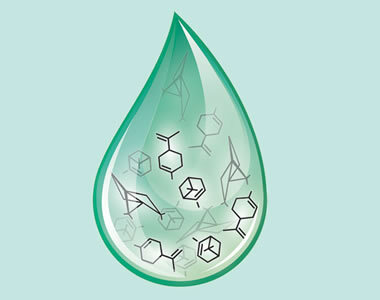 While the Course introduces concepts which go beyond chemistry to explain essential oil properties, it is still essential and necessary to understand how the chemical structures of essential oil components translate into energetics and basic properties. Essential oil chemistry is not as daunting as it may first appear. There are only twelve major families of chemical components found in essential oils. These twelve chemical families are all you need to know to understand the principal healing properties of most essential oils based on a conventional pharmacological perspective. 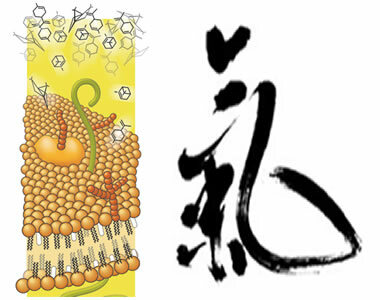 The Graph on the Left represents the Structure Effect diagram of Helichrysum italicum essential oil. Calming esters combine with antiiflammatory sesquiterpene hydrocarbons and radical scavenging Diketones. The current perspective explaining the efficacy of essential oils is largely derived from conventional pharmacology. Accordingly healing properties of oils arise from the molecular structures of their chemical components. Interestingly Chinese Medical Aromatherapy embraces exactly those essential oil phenomena, namely variability of composition and their sensory impact, which present problems for conventional pharmacology. In the perspective of Chinese Medical Aromatherapy essential oil efficacy arises from three phenomena. Molecular Biology has discovered many cellular mechanisms by which the anti-inflammatiory and antitumor properties of essential oil components are mediated. Part IV of the Course presents the more rigorous medical aspects of French Style aromatherapy. It surveys the classic research from the 1960s through the 1980s showing the pharmacological properties of EO components ranging from expectorant and mucolytic to sedative and spasmolytic, and many more. 30 years ago conventional medicine did not offer effective antiviral drugs. Goldenrod (Solidago virgaurea or canadiensis) is a most valuable oil for effective blends: it imparts many valuable properties while being entirely non irritant and even beneficial for the kidneys. Modern aromatherapy blends always address the whole person, even when we create compositions to address specific issues. The chapters of Part V introduce in some detail todays most effective ways to treat viral, bacterial and fungal infections. It offers proven suggestions for chronic inflammationa, metabolics diseases and liver detoxification. It discusses scar treatment, psoriasis and eczema. There are suggestions for improving immune response and to ameliorate allergies. There are many exciting developments in aromatherapy almost at any given time. Today, data from cellular and molecular biology fuel the inspiration of individuals in the community, who take it upon themselves to try out in real life what the laboratory data suggest. It is uncertain whether or not the large number of laboratory data on the antitumor properties of essential oils will translate into stand alone cancer treaments. What has been established through convincing clinical research is the ability of essential oils to mitigate side effects of chemo and radiation therapy. Many Asian essential oils are derived from rhizomes or resins. Certification for the Aromatherapy Course Exam. 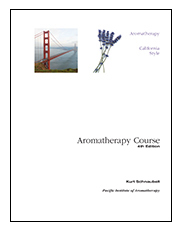 The classic study course for French style aromatherapy. Proceedings of the 7th Scientific Wholistic Aromatherapy Conference, San Francisco, February 20-22, 2009. Scientific, aromatherapy and healing arts presentations. An in-depth look at the chemistry of essential oils. 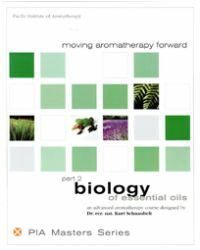 Broken up into 9 detailed chapters, this book covers all the chemistry of essential oils including the biosynthesis of the oil components, an analysis of the oils, and the historical development of aromatherapy. 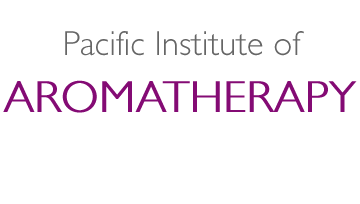 Pacific Institute of Aromatherapy and Original Swiss Aromatics were founded by Dr. Kurt Schnaubelt in 1983, joined by Monika Haas in 1988 and Julien Juillerat in 2012. OSA was one of the very first Aromatherapy companies in the US and until this day has maintained the highest standard in its variety of over 200 different essential oils. 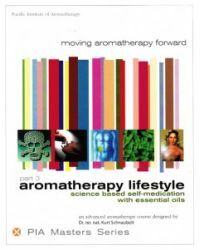 We not only work with essential oils, we live an aromatherapy lifestyle. 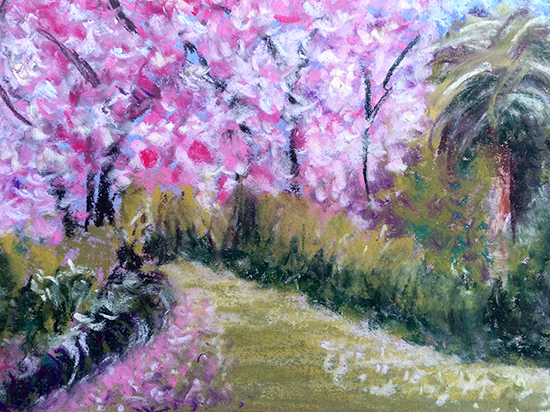 We view essential oils as incomparable allies in healing ourselves, our family and friends. In our quest to find the best and most precious essential oils we travel to the countries of origin, work intimately with the producers and guarantee the highest quality of genuine and authentic essential oils one can possibly find. If we are unable to find an essential oil of truly authentic quality, we take it off our list. Our love and dedication to our work has allowed us to remain successful for more than 30 years.